From the United Kingdom, there are several routes to France. The fastest crossings go from Dover in southeast England to Calais in Nord, Pas de Calais, Picardy (Hauts de France) region, taking 90 minutes. There is strong competition on cross-Channel ferries, so shop around for the best deal. The earlier you book, particularly for the high season (July-September), the better the deal. The most comprehensive booking service is operated by AFerry.co.uk. It's a huge site, offering the widest choice of ferry routes and companies available online, from Dover to Calais, around the Mediterranean, from Marseille to North Africa, around Greece, Sweden and from Helsinki to Russia. You can also use booking companies that compare rates like www.ferrycheap.com. Also, look at the Budget Travel section of this website. Do your research; you may well find that the companies themselves are offering better deals. When you book you will need details of passengers and details of the car (make, model, number plate, size, trailer, caravan, etc.). This is the most popular route with hundreds of sailings every 24 hours and operating 365 days a year. Ferries are operated by the following companies. P&O Ferries. P&O has added two ships to their existing fleet. The new Spirit of Britain and Spirit of France are the biggest and most luxurious ferries ever to cross the Dover Strait. They are the best to sail on, with new facilities and greater comfort. DFDS runs many return sailings per day and has good onboard facilities as well as an excellent lounge area (£12 supplement) where you can order breakfast and get free Champagne, coffee, tea, and light nibbles. Direct access to the A16 going south to Boulogne, Le Touquet, and the Normandy/Brittany coast. DFDS operates between Dover and Dunkirk (Dunkerque), taking 60 minutes. Seasonal timetable operates. DFDS operates 2 return sailings daily. Brittany Ferries operate the most luxurious ferries on every service they offer. You can either take the fast 3¾ hours crossing or treat it as a mini cruise with all the facilities of a big boat, taking 6 hours during the day and 7 hours overnight. Seasonal timetables operate. The ferry terminal at Ouistreham is 15 kilometers north of Caen. Brittany Ferries operates a high-speed crossing on the Normandie Express taking 3hrs 45 minutes daily from May to September. Brittany Ferries also operates an economy service with 5 return crossings a week. Le Havre to Paris takes around 2 hours. Brittany Ferries operates luxury ferries to St. Malo, taking 8¾ hours overnight. On the return, it operates a daytime service. If you want to see the west coast of France, take Brittany Ferries to Santander, then drive up through Biarritz, Bordeaux and the glorious Aquitaine coast through the western Loire Valley and to St. Malo to take the ferry back to the UK. Brittany Ferries operates two services from Poole to Cherbourg, operating from March to October. The high-speed service takes 2½ hours; the longer service takes 4½ hours. operates its luxury boats to Roscoff in Brittany, taking 6 hours during the day and 8 hours overnight. Operates up to 2 per day from March to October. 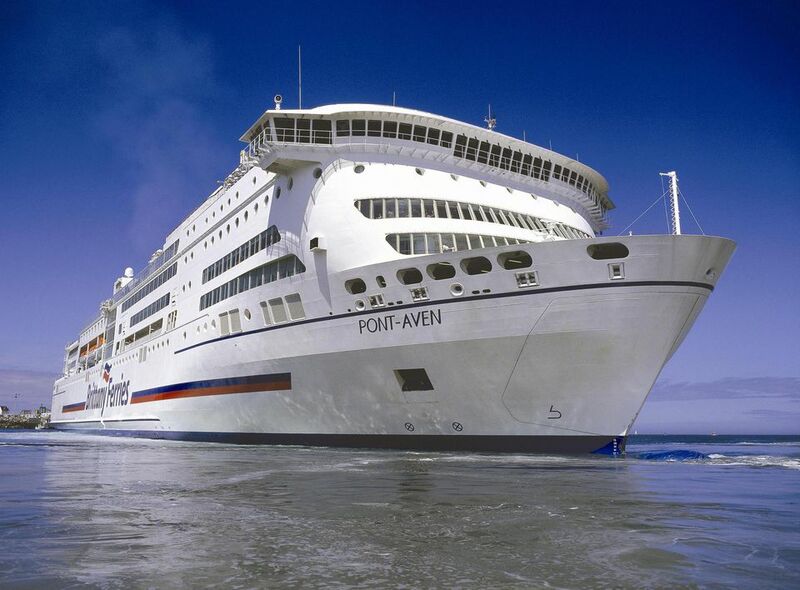 Brittany Ferries operates its luxury boats to Roscoff in Brittany, taking 6 hours during the day and 8 hours overnight. There are up to two sailings per day from March to October. Eurotunnel provides high-speed car, coach and freight services via the Channel Tunnel between Folkestone and Coquelles (Calais) and Folkestone. Channel crossing time is about 35 minutes. It operates 24 hours a day, 365 days of the year.